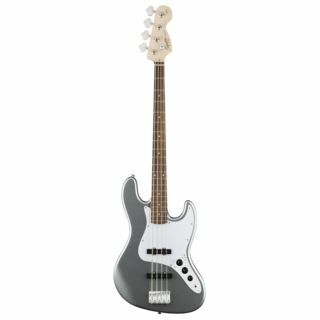 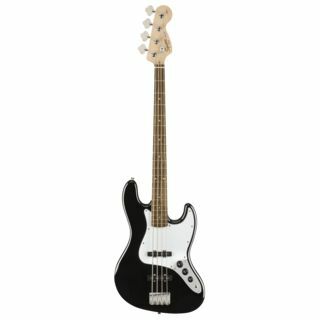 The Squier JAZZ BASS 4-String Bass Guitar, Rosewood Fingerboard, Black. 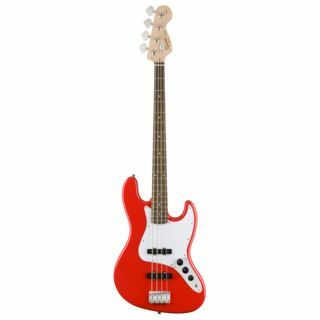 Superb, affordable Jazz Bass with playability, versatility and tone, at an incredible price. The Squier JAZZ BASS is easy to play, with the fabulous feel and tone of the original. It features a rosewood fretboard, maple neck, sculpted alder body, 2 vintage-style single-coil J Bass pickups, and a top-loaded bridge, all the essential, legendary Fender Jazz Bass elements.